Here you can celebrate, listen to music (concerts), dance, talk, experience exciting vernissages and, of course – be guest at our special tastings, the PURE seminars. Solid and very individual. We organize private parties as well as public events. 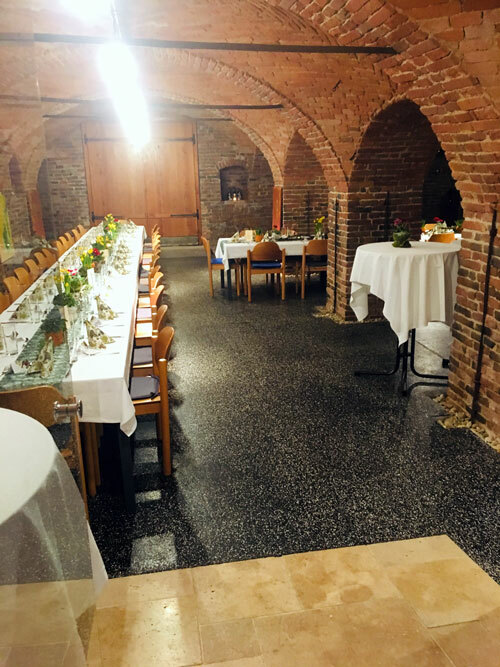 In autumn of 2009, we started to restore our old wine cellar and since may 2011 it is available for your event or celebration. Let us know what you are planning, we will provide you a costumized package. Local partners (catering, decoration) support us in your request. Suitable for a maximum of 50 persons, with high-quality culinary skills, in which partners from the region support us. I am looking forward to welcoming you at the Herrenhof.